King Solomon knew how to harness universal energies to build his temple, tap into wisdom, and enjoy all of life’s riches. The only thing he was missing was true love. Makeda, the Queen of Sheba, was young and filled with exuberant curiosity about the world. On her journey to meet King Solomon, Makeda learned about the Jinn elemental realm and how to work with the sun and moon’s magical light, but she still wasn’t sure how to take charge of her own life. 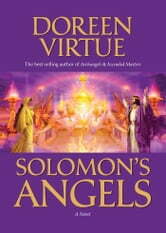 In Solomon’s Angels, Doreen Virtue’sfirst novel, which is based on thoroughly researched historical, biblical, archaeological, and culturally accurate information, you’ll see how Solomon and Makeda’s meeting changed both of their lives forever. 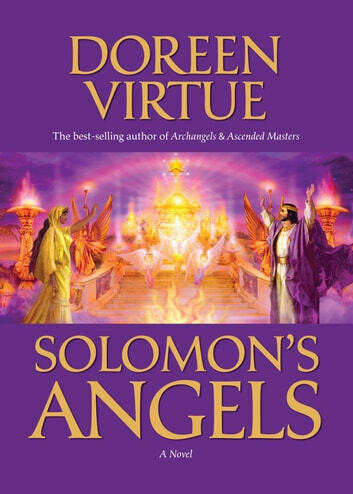 You’ll peek over the Queen of Sheba’s shoulder and discover the ancient secrets behind how Solomon’s temple was built without hammers and saws, and the role that the archangels and sacred geometry played in manifestation and divine magic. Solomon and Makeda’s magically romantic story will inspire you in many ways . . . long after you’ve finished reading it!